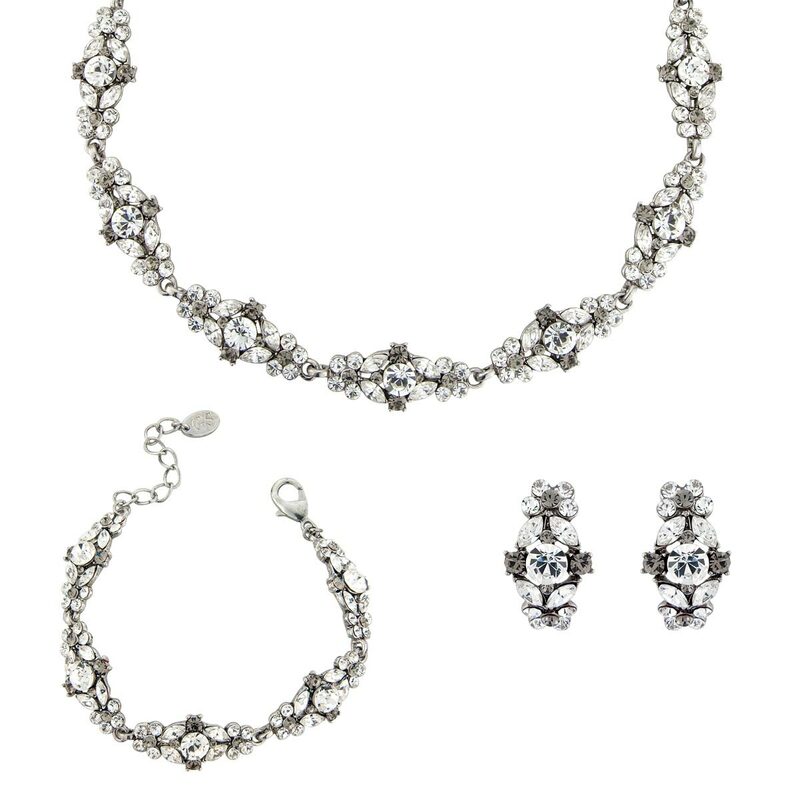 Oozing 1940s classic glamour, this jewellery set combines smoky grey crystal clip on earrings with a collar necklace and bracelet - perfect for a vintage wedding. Featuring heirloom-worthy drop clip on earrings, a collar necklace and matching bracelet, our Forever Vintage Jewellery Set is nothing short of exquisite. Fans of the 1940s will adore its timeless elegance and the myriad of clear and smoky grey crystal clusters that bejewel this stunning trio. 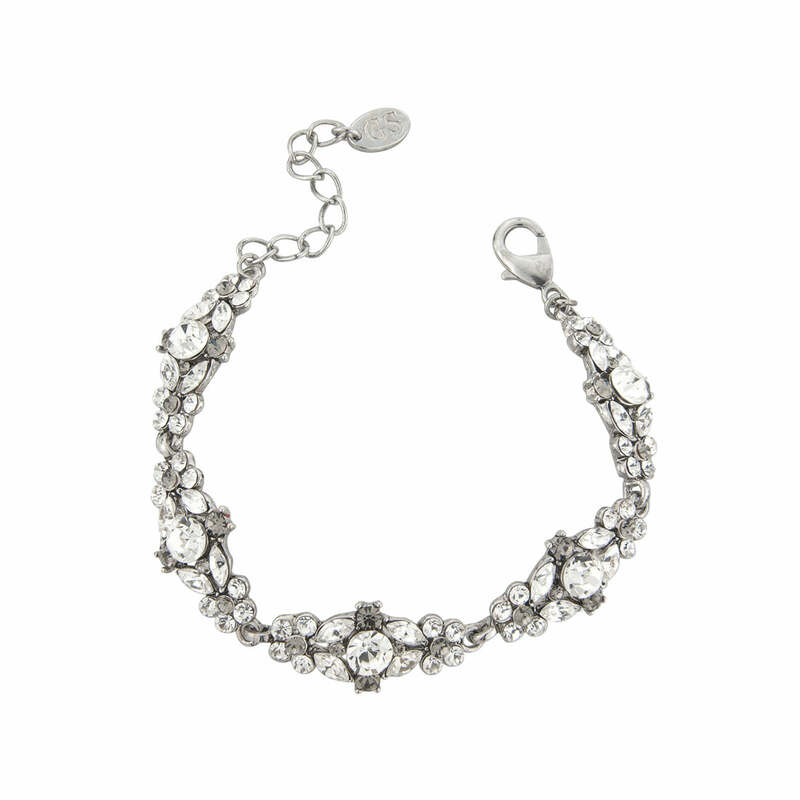 With antique chic vibes, its refined shimmer is perfect for day and evening special occasions. Brides who are looking for a jewellery set with clip on earrings for their wedding day, and who adore accessories reminiscent of yester year, will fall in love with the muted tones adorning these pieces. 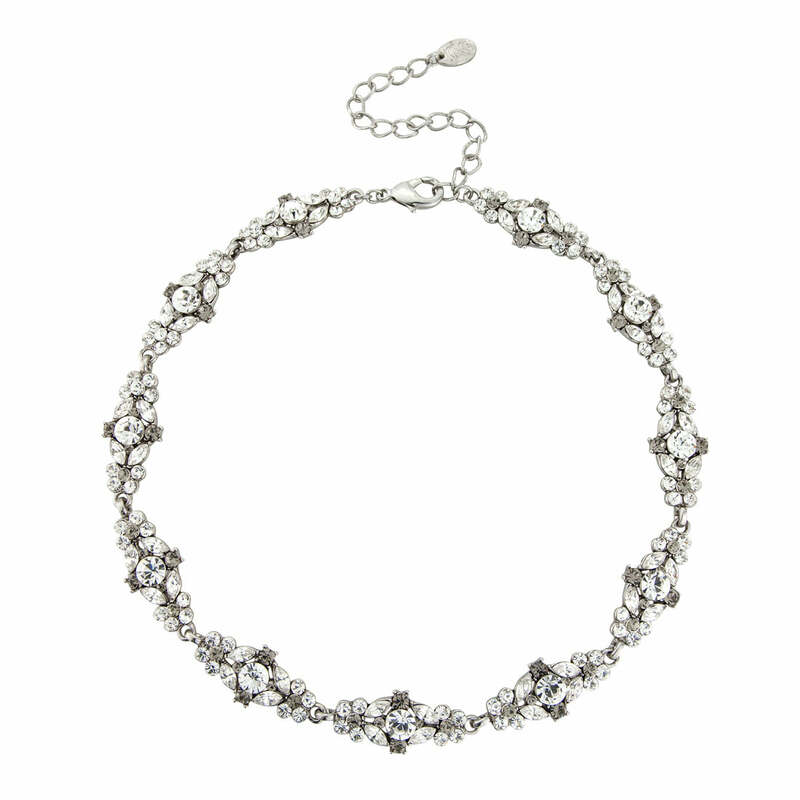 If your bridesmaids are wearing grey dresses, this trio is also a fabulous choice to add a hint of bygone shimmer to your magical day. Sure to become your go-to three piece for every glamourous occasion, Forever Vintage will look sensational at a glitzy ball accessorising an elegant evening gown whilst the non-pierced earrings and bracelet are the perfect pair to add a touch of sparkle to a classic shift dress for daytime elegance.